Ever since the war began, Molly has been having a hard time dealing with all the changes it brought in her family. Her dad is still in Europe with the army, her mom is busy with her Red Cross work, Jill has been volunteering at the Veteran's Hospital, even Ricky has a job mowing lawns in the neighborhood and younger brother Brad is off to camp every day. Now, it is August and Molly is visiting her grandparents farm by herself for the first time. Now, here with grandpa, grammy and the familiar smells of her grandmother's kitchen, it feels more like old times to Molly. Until she realizes that her favorite Aunt Eleanor isn't there and when she asked where she is, Molly is told she is away, "as usual" according to grandpa. But when Molly and grandpa return to the house after picking a melon from the garden, Aunt Eleanor is home. Still, Molly's excitement that she will be able to do the same things with Aunt Eleanor this year that they have always done together on the farm quickly turns to disappointment when she is told that her aunt won't be home the next day. Later that night, while stargazing, Aunt Eleanor tells Molly she has applied to join the WASPS, or Women Airforce Service Pilots, and that, if accepted, she will be testing and transporting planes for the Air Force, and even helping to train pilots. Molly is not quite as happy about this as Aunt Eleanor would have liked. Aunt Eleanor leaves early every morning, returning home at suppertime. Molly spends the next few days alone, feeling lonely without her family at the farm, angry at the war and now angry at her aunt, and maybe even a little jealous that she wants to spend Molly visit flying instead of with her. Then, one night, Aunt Eleanor doesn't get home until Molly is already in bed. When she goes in to see if Molly is awake, Molly's anger gets the best of her and she snaps at her aunt, accusing her of not caring about anything anymore, except flying. The next morning, Aunt Eleanor wakes Molly up very early and tells her to get dressed. In the car, when Molly asks where they are going, all she is told is that she'll see. Arriving at the airfield, Molly and Aunt Eleanor walk over to the plane her aunt has been practicing with. To her surprise, Molly is handed a helmet, told to put it one and the next thing she knows, she and Aunt Eleanor are flying over grandpa's farm. Can Molly and Aunt Eleanor be reconciled, now that Molly has had a taste of the exhilaration that flying gives her aunt? Molly Takes Flight is actually a very small book (just 47 pages), one of five separate short stories that were originally published by the Pleasant Company in 1998 about Molly McIntire, an American girl growing up in WWII (the stories has since been combined into a single book, one for each historical doll). Written by Valerie Tripp, and illustrated by Nick Backes, who have done a number of the original American Girl stories together, Molly Takes Flight is a well written, well researched short story. It follows the same format that all the stories about the American Girl historical dolls have - a story followed by several pages giving information about the main theme - in the case the WASP program begun in 1942 and organized by Jacqueline Cochran. Stars also play an important part in this story. Molly looks at the North Star each night, just as her dad told her to, and thinks about him. And she and her aunt star gaze whenever Molly visits the farm. At the end of Molly Takes Flight, there is a simple, but fun craft project for making a star gazer out of a round oatmeal container. 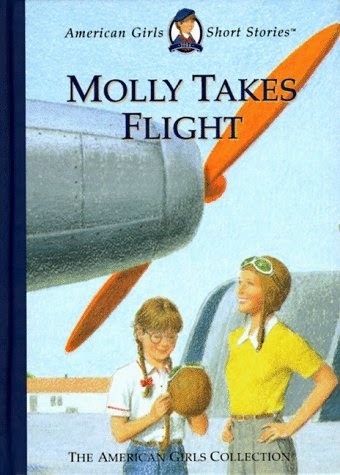 This copy of Molly Takes Flight is my Kiddo's original one, and it doesn't feel like that long ago we were reading it together, but now I have it put away with her Molly doll and her other American Girl books for the next generation, whenever that happens. And even though Molly has been retired, her books are still available. 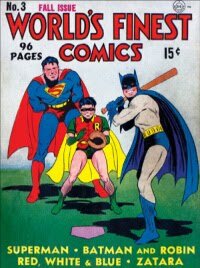 I agree, great cover. I've read several books about WASP the last few years - very interesting (and some aspects... very disturbing such as how they were used for target practice). I know. The WASPs really didn't have it easy. I also read about how the planes they were flying were used for target practice, among other dangerous jobs, and then they got the boot and not military benefits til much later. It was shameful. I haven't read any of the American Girl Doll books, but I think they are a wonderful way to get girls (and boys) interested in HF. This sounds like a great, quick read. I don't recall reading any other books about WASP- so this appeals to me. Definitely one I will be sharing with my students. Thanks for sharing! Thanks, Stephanie. I know a lot of people dislike the American Girls brand, but I like the historical books. They are always full of information about the time period and ususally written by a well known kidlit author, like Valerie Tripp. I am sure your kids will like them.